A Winter day in Myrtle Beach may mean something a little different than a Winter day in your hometown, since this coastal city rarely gets snow and typically maintains mild temperatures throughout the season. 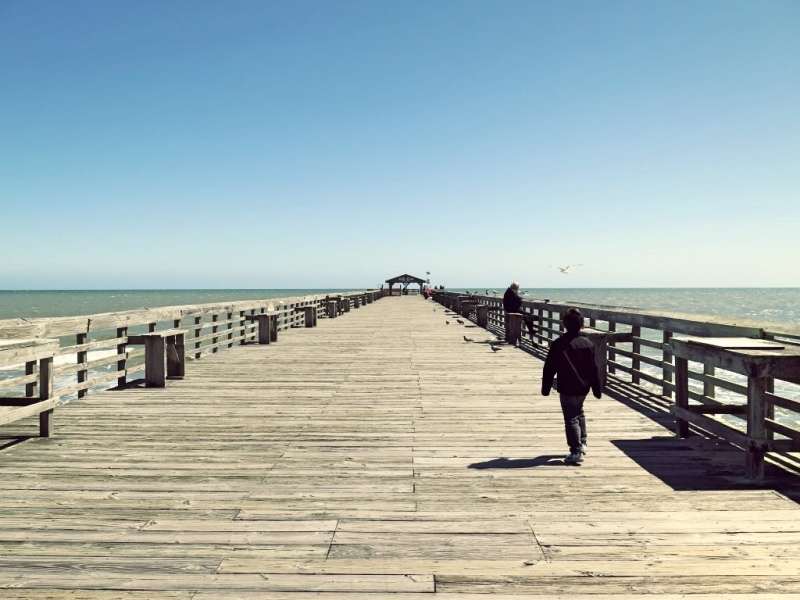 If you're looking to make a spontaneous getaway to Myrtle Beach to escape the icy conditions where you live, then come visit the always-exciting Grand Strand. While you may still need to wear your coat, scarf, and gloves while out and about, we know you can thoroughly enjoy your Winter vacation to the fullest. Read ahead for our suggestions on spending the perfect Winter day in Myrtle Beach! Get your day started the right way with a stop at one of Myrtle Beach's many breakfast establishments. There are dozens of pancake houses and early morning buffets to satisfy your breakfast cravings. 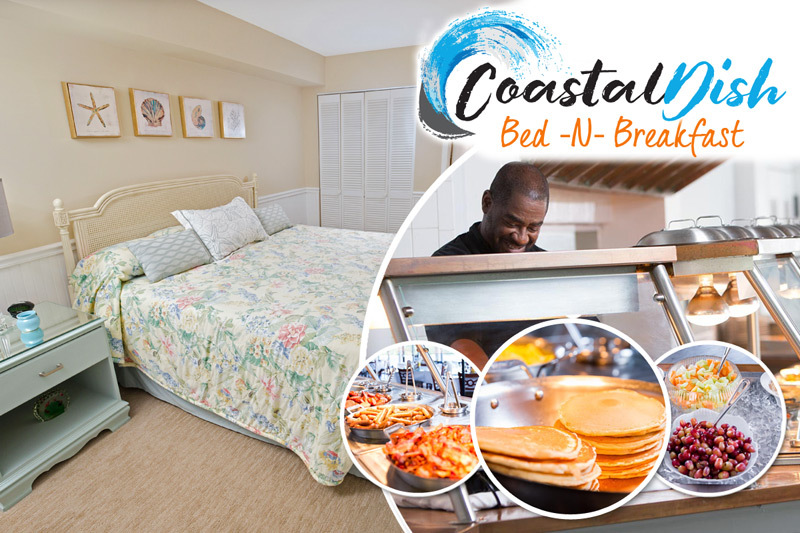 Try out Johnny D's Waffles and Bakery, Sea Captain's House, or Croissants Bistro and Bakery for some sizzling Myrtle Beach breakfast options. Dine-in or get your meal to go, so you can enjoy it while you watch the Winter sunrise over the Atlantic Ocean. Don't miss your chance to see this majestic sight while you're visiting the area. For lunch, pack a picnic of your favorite snacks and small plates and make your way over to Myrtle Beach State Park. Situated in a maritime forest, this State Park offers a relaxing beach setting with plenty of covered picnic areas. Take in the natural beauty of the Grand Strand while you spend priceless time with your friends and family. After lunch, take some time to explore the nature trails, pier, and educational center found in the park. After lunch, drive over to Broadway at the Beach for hours of shopping, dining, and entertainment. Start off near the Big-D Theater and make your way along the front side of the district. Browse stores like Ron Jon Surf Shop, Build-A-Bear Workshop, The Paula Deen Store, Victoria's Secret, and more! Stop by The Fudgery for a free sample, and then select one of the many fun dining establishments for a nice Myrtle Beach dinner. From hibachi to barbecue to seafood, there is something everyone will enjoy at Broadway at the Beach. After you've shopped 'till you dropped and eaten to your fill, head indoors at Ripley's Aquarium for a fun-filled adventure under the sea! Get up close and personal with a variety of marine animals, including sharks, eels, horseshoe crabs, seahorses, jellyfish, and much more! Whether you're traveling solo, with your family, or on a romantic vacation, you will love spending time at Broadway at the Beach. While it's true that the sun doesn't set over the Atlantic Ocean, you can still see the beautiful painted hues of the sunset from the Ocean Boulevard and Boardwalk areas. Arrive just before dusk and walk along the wood-planked promenade, as you take in the beauty of the ocean, the melting colors of the sky, and the brilliant lights of the Boulevard's attractions like the SkyWheel Myrtle Beach. Finish up the night from the cozy comfort of your condo's private balcony, where you can reflect on your amazing Winter day in Myrtle Beach!